Is a new take on old ideas the future of innovation? 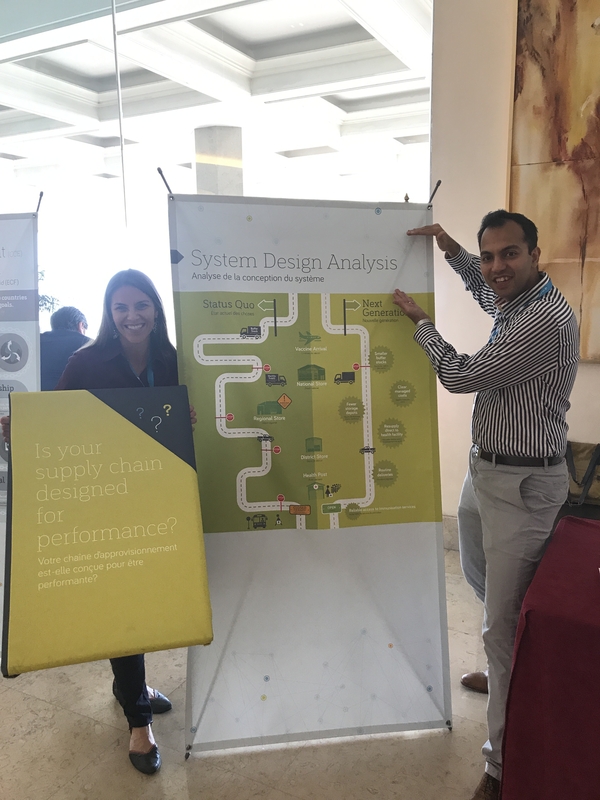 Melissa West and Sid Rupani from LLamasoft sharing the use of system design and modeling for supply chain improvement at the TechNet Conference. Donors and NGOs around the world are investing in technologies that promise to make vaccines available to children everywhere. Many of these innovations took center stage at last week’s TechNet Conference, reflecting the enthusiasm to try something new. 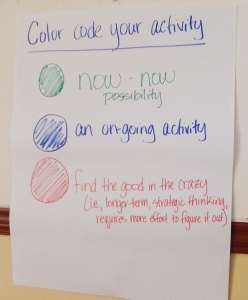 But maybe what we need is not necessarily something new – just something different. 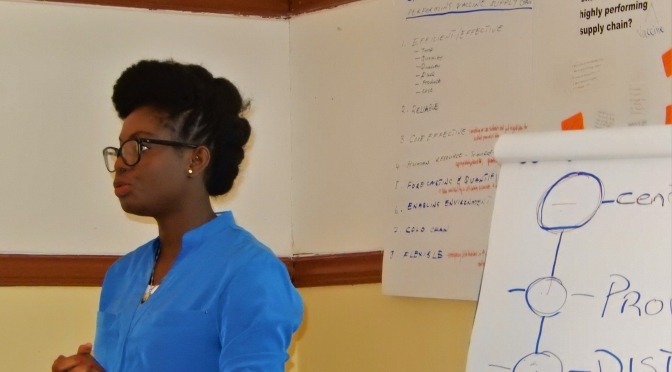 In DRC, an interactive workshop was used to introduce modeling to Ministry of Health officials. Through my work optimizing supply chains, I have truly come to realize the importance of looking at “the big picture.” If every detail matters in the effective operation of a supply chain, it is also critical to connect the dots and understand how functions interact. Getting health products to remote health centers is no straightforward endeavor—there are many complex steps and processes involved that can make it difficult to visualize the larger, connected system. The first distribution of the Next Generation Supply Chain Initiative at the Konongo Health Center in DRC. 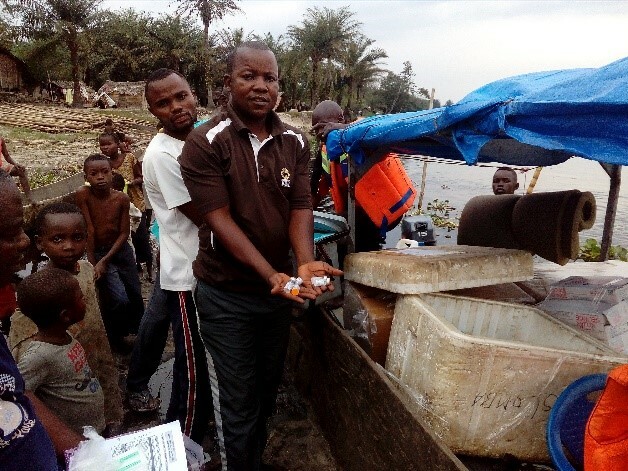 I am proud to announce that last month a team composed of provincial government and VillageReach staff successfully conducted the first direct distribution of vaccines and family planning commodities in the Equateur Province of the Democratic Republic of Congo. Under the Next Generation Supply Chain Initiative, this constitutes a major milestone worth celebrating. It represents more than a year of planning and advocacy to engage government leaders and partners (UNICEF, ECC CORDAID, SANRU, OMS, and Croix Rouge) to take bold steps toward change to ensure more reliable delivery of vaccines and other essential health commodities to “the last mile”, often the most remote and hard-to-reach communities in DRC. At the 2017 African Union Summit, Heads of State endorsed the Addis Declaration on Immunization, which demonstrates convincing political support to improve equitable access to vaccines. 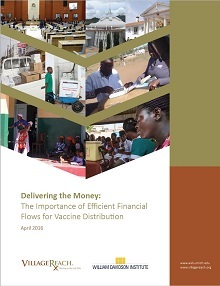 Now countries must embrace the hard work required to deliver immunizations and other health commodities to all citizens. Only when governments lead with a strong vision, supported by donors and non-governmental organizations (NGOs) in a collaborative effort, will large-scale impact be achievable. 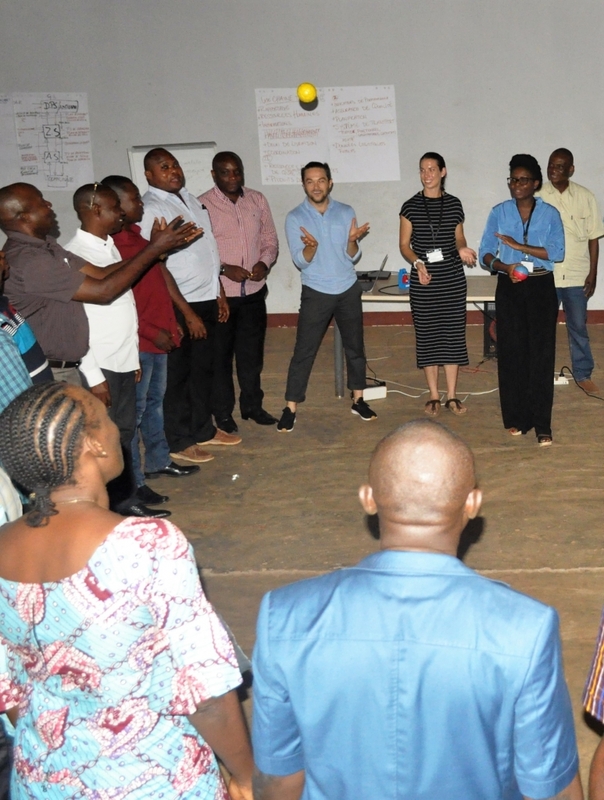 In places like the Democratic Republic of Congo (DRC), new approaches are bringing the government together with these groups – and seeing greater collaboration between donors in support of government efforts. 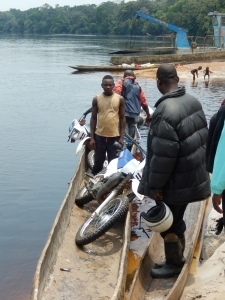 Transport in remote parts of DRC include boats and motorbikes. Leaders in the DRC have committed to overhauling the country’s dozens of supply chains, developing a highly-functioning, efficient system capable of reaching even the most remote populations. The terrain and sheer size of the DRC make this uniquely challenging. Health officials recognize that traditional supply chain models are not sufficient, and are actively seeking new approaches. But they cannot do it alone. 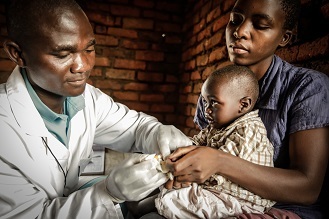 VillageReach is one of many organizations supporting the government’s quest to develop, test, implement and scale strategies that can improve this essential mechanism for providing healthcare. The annual Global Health Supply Chain Summit brings together supply chain professionals from all over the globe to discuss and share important trends in global health and the supply chains that support global health efforts. Last year, the big ideas from the event reinforced critical components of our work to improve health supply chains: public-private partnerships, system design, and data for management. 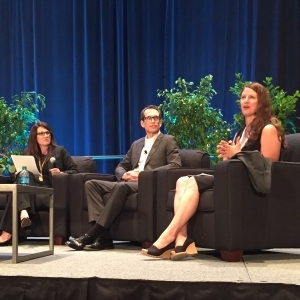 This year’s summit provided another great opportunity for VillageReach and our ministry partners to share our experiences, to learn from others, and to identify important trends shaping the global health supply chain community. The VillageReach team reflects on some of these trends below. What is taking so long?!? Transformational change does not always happen overnight. 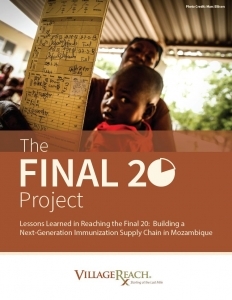 In the case of immunization supply chains (iSC), real transformational change requires iteration. It is a process of continuous improvement: cycles of thinking, testing, and improving to constantly push the system forward. While the final result might be a complete redesign of the end-to-end supply chain, each step along the way is a necessary part of getting to a better model. Sometimes the wheels of change move quickly, when political will is aligned with resources and capacity. Sometimes the wheels move more slowly, during phases of learning and refining new ways of doing things. With any large-scale change, the key is to never stop moving forward.